Members of the Asheville Chamber of Commerce benefit from a network of support dedicated to the success of your business’ bottom line and your stake in our community. In addition to our special programs and events, and advocacy initiatives, members may also take advantage of the below services. Not a member? Find out how you can get involved. By taking advantage of one or more of these exclusive member offers, your business will see a return on your membership investment immediately. Asheville Chamber members can share an offering with customers or provide a member to member discount. Check out the latest offerings. Asheville Area Chamber of Commerce is proud to offer you and your family/friends a FREE DISCOUNT DRUG CARD. Receive savings of up to 75 percent at over 56,000 pharmacies across the country (savings average around 30 percent). This card is especially helpful if you are uninsured or underinsured. However, even if you have insurance, you can still use this card to get a discount on non-covered drugs. All prescriptions processed through the program are completely confidential (no name required on card). This program also includes discounts on Eyeglasses, Hearing, Diabetic Supplies, Dental, and more. This card is pre-activated and can be used immediately! Print a card for yourself, employees, friends and family here. First Benefits Insurance Mutual (FBIM) was designed to lower workers’ compensation expenses for North Carolina employers. FBIM has been delivering quality service to Chamber members for over 20 years, providing Asheville Chamber member organizations with competitive, stable workers’ compensation coverage. Created by NC business owners for NC business owners, FBIM offers several interest-free payment plans, individualized underwriting (no predictive modeling), aggressive claims management, and will consider writing new ventures which means no “risk pool” for you. “At FBIM we place a high priority on ensuring our insureds and appointed agents understand that workers’ compensation is a balance of protecting the employee in the event of an unfortunate on-the-job accident, while at the same time protecting the employer from exorbitant costs related to litigation, medical expenses, and other business expenses related to workers’ injuries,” says First Benefits VP of Marketing Richard Suddarth. Your Asheville Area Chamber membership gives you access to FBIM’s competitive rates, skilled underwriting and personalized service. FBIM staff understands your frustrations with the large insurance companies and provides the best and friendliest customer service. If you have an established relationship with your insurance agent, First Benefits Insurance Mutual will be happy to contact your current agent to discuss policy needs or work with a Chamber member insurance agent and ask for a no obligation quote. For more information, contact Peg at (888) 393-2667 or ppirrotta@firstbenefits.org and mention your Asheville Area Chamber membership; she’ll walk you through the process. One Product. One State. Focused on You! The JB Media Institute is a comprehensive digital marketing training program offered online and in-person taught by active industry professionals including JB Media Agency staff and hand-picked guest instructors. Both programs offer the personal attention your business deserves in order to amplify your digital messaging, increase your understanding of Internet marketing, and reach audiences who take action. If your business is struggling to keep up-to-date with Internet marketing best practices or you are unsure where to begin when it comes to managing social media, SEO, online PR, online advertising, and strategy/project management, the JB Media Institute can help! 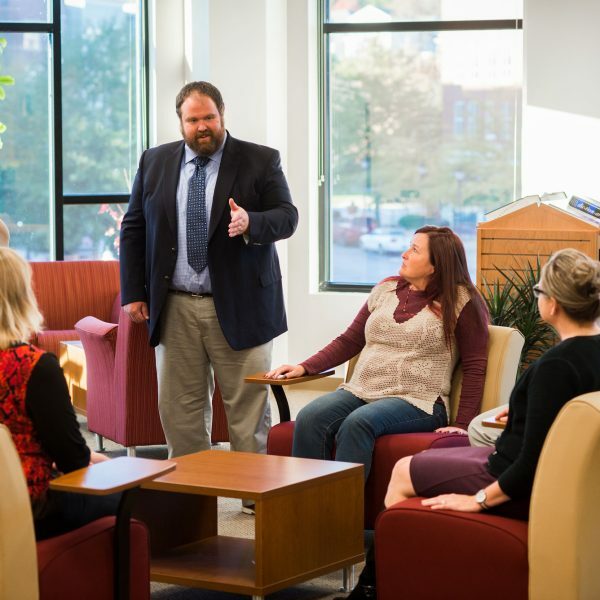 Choose the classroom experience that best suits your needs and schedule. Our in-person program is available three times a year and runs for six weeks, three days a week from 2-5pm in West Asheville. Need more flexibility? Our Online Institute 12-week subscription launches seven times a year and is perfect for busy professionals who want to learn on their own time. Walk away from either program with an actionable Internet marketing plan reviewed by our team. Contact Institute Community Manager Genna Harris at genna@jbmediagroupllc.com or 252-908-0266 to claim your $100 Asheville Chamber Partnership discount. MyNewsletterBuilder provides world-class email marketing and newsletter services right from Asheville’s front yard. Engage the most affordable way to market your business at gomnb.com/signup/avlchamber. Talk to John to get the AVL Chamber Rate – an additional discount over anything else they offer – at 1-828-232-0016 x225 or john@gomnb.com. We offer many opportunities for members of the Chamber to promote their business to thousands of individuals that make up the Asheville community and its visitors. Our weekly e-newsletter keeps the community updated on Chamber programs and events as well as news that is important to the business community. Take advantage of this fast and easy way to generate publicity for your company. We also offer advertising on this website by becoming a Featured Member on our site. Your logo will be featured on our Chamber webpages with a direct link to your company website and a brief description of your business operations. This is an opportunity to expose your business to visitors, locals and prominent business people in the community. 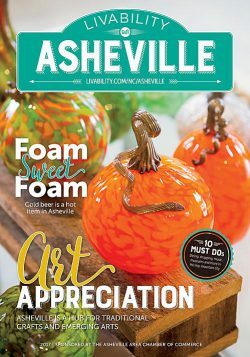 The Asheville Magazine is a beautiful annual publication highlighting the unique attributes of Asheville, such as its art and culture including an array of information from population statistics to schools. This publication is the cornerstone of the Chamber’s Relocation Packet and will expose your business to those looking to relocate. Ad sales are done once per year. Please contact Erin Leonard, Director of Communications at 828-258-6131 or by email. The Sponsorship Opportunities Guide offers a comprehensive list of all Chamber events and the sponsorships available. For more information, contact Leeanne Briggs at 828-232-2247 or by email. The focal point of the Chamber offices is the 4,000 square-foot Visitor Center which welcomes more than 200,000 visitors to Asheville each year There are many opportunities to showcase your business in the Visitor Center. For more information, contact Leeanne Briggs at 828-232-2247 or by email. Work the PR angle by using the Chamber’s media list to pitch story ideas and get the word out about exciting news to newspapers, online outlets, magazines, radio and TV. Chamber members may contact the Chamber’s communications director or call 828.258.6131 for a media list to help facilitate publicity outreach efforts. Direct mail the entire membership your marketing materials by purchasing mailing labels for our more than 1,700 members. It is $200 for a one-time use Excel list ($500 for nonmembers.) E-mail contact information is not made available through this program. Contact the member services department or call 828.210.2729 for more information.